This Hollywood film, released in 2010, by one of the most famous filmmakers of our time has Leonardo DiCaprio in the lead role. The protagonist has lost his wife but keeps having visions of her. And circumstances have forced him to stay out of his homeland, though he badly wants to return. The film's biggest strength is the way it plays with real and unreal, and the last shot of the film - one important visual motif, keeps it open-ended, or tries its best, to leave us wondering whether the entire film was a dream! Which film am I talking about? 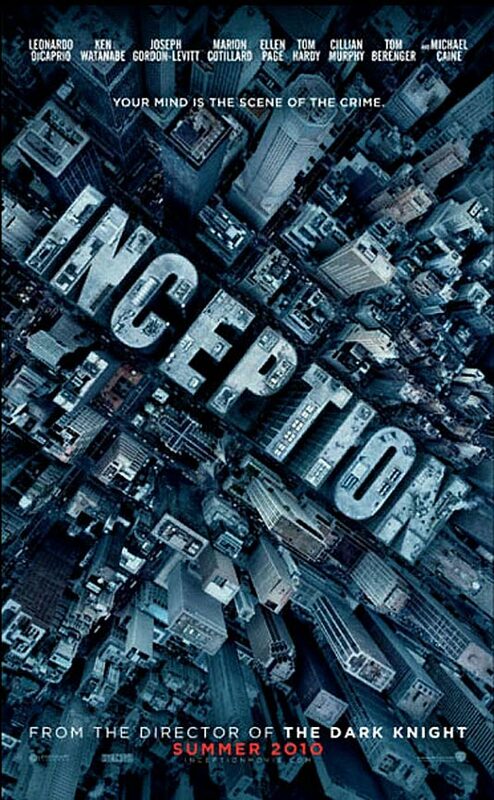 Your instinctive answer would be 'Inception'. But, what about Martin Scorsese's 'Shutter Island'? Go back to the first para and you will observe - this interesting connection between the two films. A good trivia for quizzers. And I'm sure these films will share some Academy Awards nominations as well. 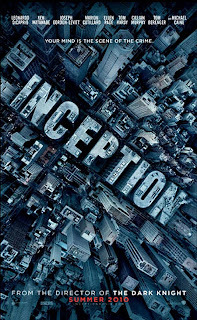 All details for the desired 'inception' have been planned, including the designs of the different levels of dream-consciousness. I have also selected a 'totem' - a miniature Rubik's cube that has a faulty colour scheme. Seems everything is done and I'm raring to go. There is one problem, though. I still need Christopher Nolan to direct it for me! Interesting :) The first idea that most film makers here need to be imbued with is that a good movie ,generally,works its way up from a good script and not the other way round .. I can only share the perspective of an outsider, but from the look of it , as long as we keep on assembling formulas and then find a half-decent script to somehow justify their presence ,the quality will suffer..
Hope you land the 120 crores soon !! rightly said. ( ohri this side) . the other day while chatting abt inception wid taneja ,the topic of caprio's similar roles in both the films came up.since the last film of his which i saw was shutter island..it was very clear why i felt that way. infact i was critical enuf to point out that maybe after all his efforts to escape getting typecast in a certain image ( as he tried and succeeded after titanic).. which he in an interview to rollingstones said was the most difficult thing to do.... he was for the first time closer to square one. "एक बार वक्त से, लम्हा गिरा कहीं... वहाँ दास्तान मिली, लम्हा कहीं नहीं!"